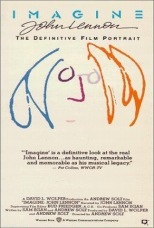 This "biography" evolves around the nearly 240 hours of film and videotape fortuitously taken by Lennon of his life. The archive footage is transformed into a fascinating life story of one of the most complex and fascinating men of the modern music era. This effort includes a 36 song soundtrack. Includes some very personal and insightful footage, never before made available to the public.